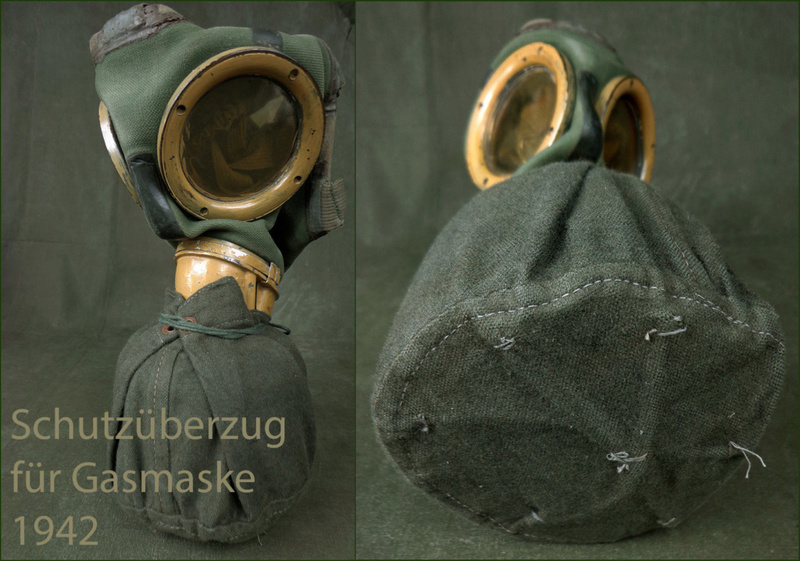 Hello, I found in many places this type of German gazmask filter protection bag (Schutzbeutel für Gasmaske) for sale, it seems that a stock has risen to the surface. 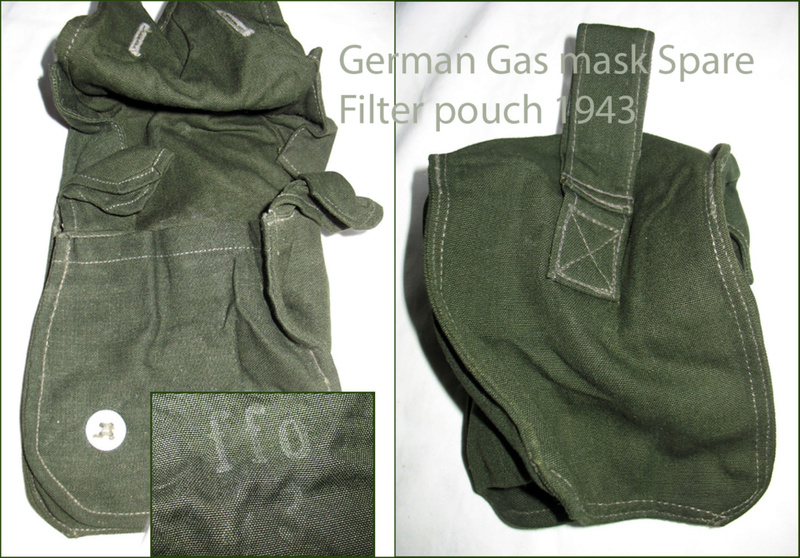 It seems also that this "protection bag" was actually some kind of simplified "pre-filter" whose purpose was to protect the main filter in case of prolonged use in areas where the dust is very fine such as deserts. But not sure. Thanks for your infos. 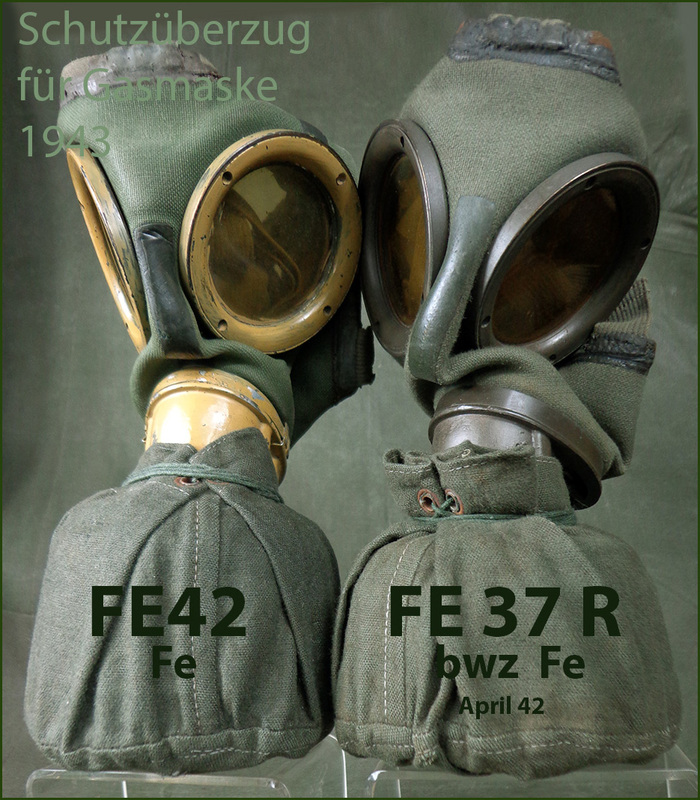 I got 20 of them out of a barn from Leer Ostfriesland 8 years ago together with 100 horse gas masks all in their original bags. I guess these have never been delivered to the troops. Due to the bad storage they are not mint but in good condition. I have never seen pics of them in use but they are 100% period. Are they easly obtainable on the open market? Hi, i agree. When the dust is as fine as flour ... a piece of cloth is not a definitive solution !! 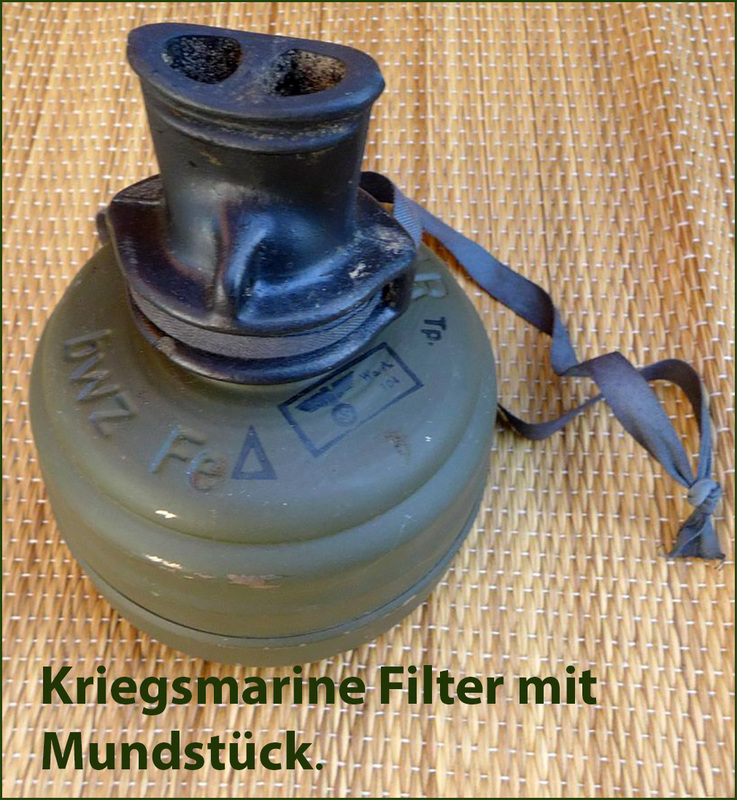 Fortunately I do not think the German troops in the south have ever used their gas masks; But this accessory had to be in their canisters. Hello, thank you MP44 for your article and all the rest. According of your pictures those protection bags was not only an issue for some extreme weather conditions like in a desert during a windy storm but also in 1942 an issue for everyone… It is still a nice accessory to find! Hello, this guy have a stock!! but are expensive. 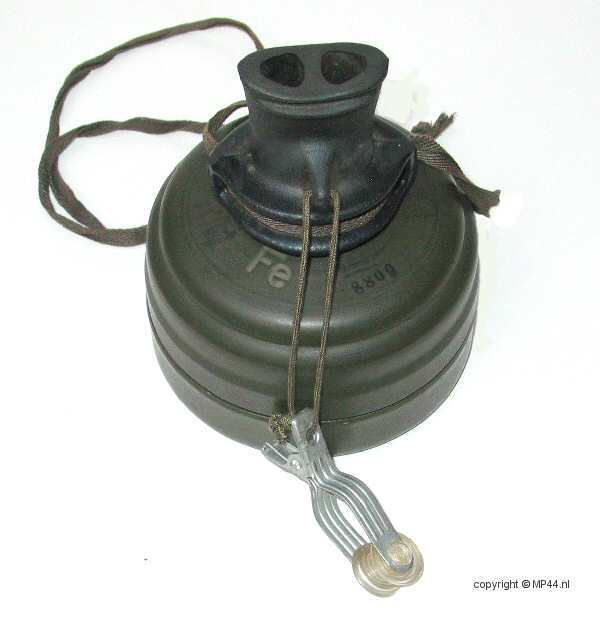 Mine i got it inside a complete canister. Yes, it seems that you have another fan!! You Don't talk that much about the spare filter pouch? For what use? For who? It is also dated 1943. And what about this weird mouth piece which like a last ditch? 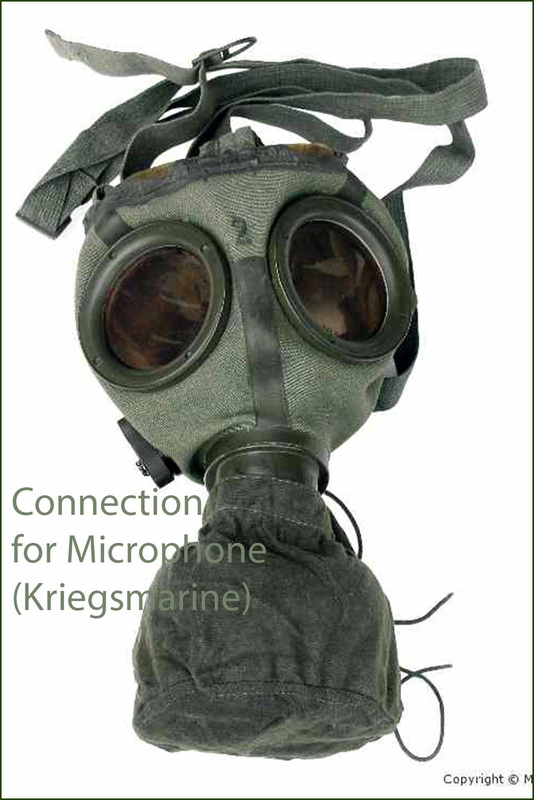 Also what is a average price for a gas mask only with a microphone plug in good condition? To finish with this matter, this protection bag was clearly designed for the smaller size filter. It doesn't work with the higher (it close the exaust valve at the back). I think 150€ is the market price for a KM mask only.